Designed in the Gothic Revival style by noted architect W.H. 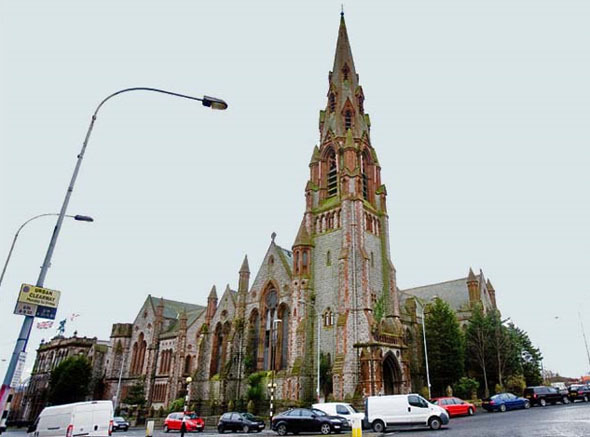 Lynn and completed in 1876, the church was home to one of the largest Methodist congregations in Belfast. 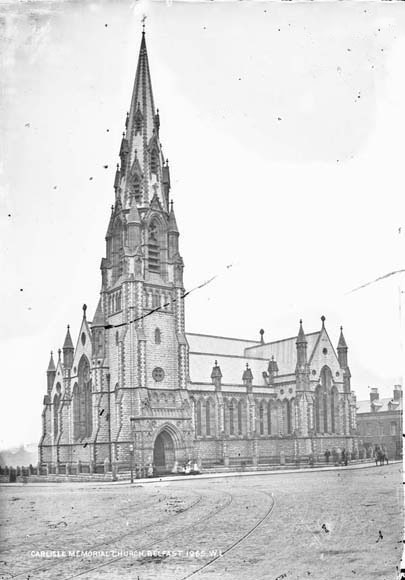 The church was constructed by Belfast merchant, James Carlisle, as a tribute to their memory of his two children who died in 1870 and 1874. The sandstone and limestone exterior of the building was renovated in 1966, but the church ceased to be used as a place of worship by 1982, a consequence of the declining congregation and its location at a major interface between Catholic and Protestant populations. Previous plans to convert the church to public housing did not come to fruition. Now derelict for close to 20 years, Carlisle Memorial has suffered extensive physical degradation. Listed on the World Monuments Fund Annual Watchlist in 2010. Since that, Alex Attwood, Environment Minister, has pledged £400,000 to secure this iconic Belfast building, situated at Carlisle Circus. “A memorial church, the gift of Alderman James Carlisle, J. P., to the body to which he belongs in memory of his deceased son, is being erected at Carlisle Circus. The stone employed in its construction is Armagh limestone, with designs of red Dumfries stone. The style is Gothic. The principal entrance, which is embellished with elaborate mouldings, carvings, and capitals, opens from Carlisle Circus. On either side of this door are two niches, in which are to tie placed statues of the Evangelists. A spire and tower will rise over the principal entrance, in height from ground to top about 170 ft., and the spire will be adorned with 16 ornamental windows. 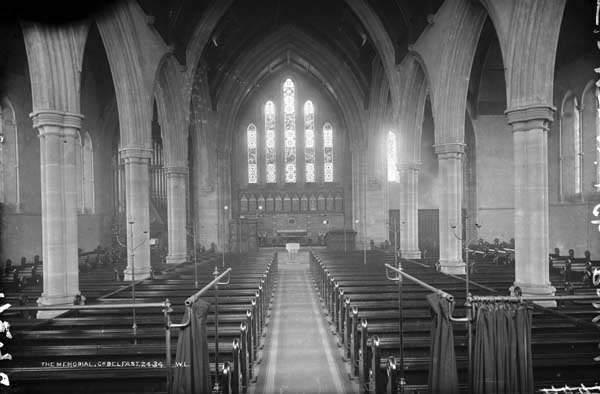 The west window of the church will be particularly spacious and handsome, being 30 ft. in height and 17 ft 3 in. in width. 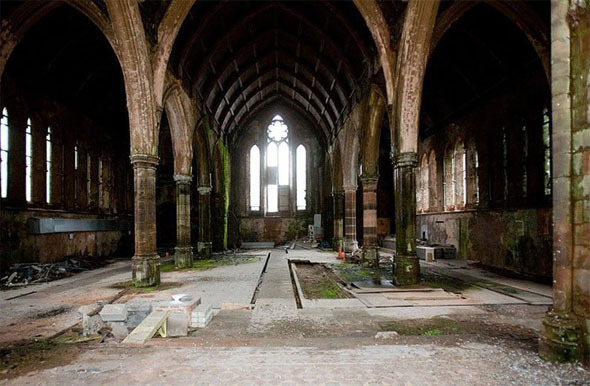 There will be no gallery on the church, the ground floor being arranged to seal about 1,000 persons. The entire cost, the whole of which is borne by Mr. Carlisle, will be between £15,000 and £20,000. It is expected that the building will he completed in eight or ten months. Mr. Henry is the contractor, from designs by Mr. W. H. Lynn.” The Irish Builder, December 15 1874.